Chill out at this warm Perankan restaurant located in the Holland Village area. Whether at its premises or during its catering services, you'll be conquered by its mouthwatering food and local fare, which is prepared with homemade spices and without MSG. 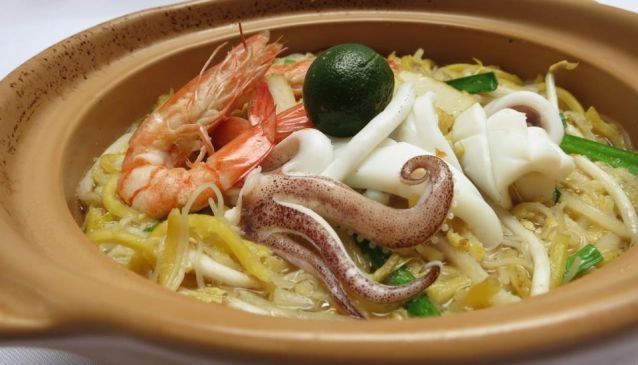 The signatures dishes for which customers keep coming back include the Nonya Laksa, Nasi Lemak,Nonya Chicken Curry, Mee Siam, Seafood Hokkien Mee in Claypot, Assam Fish Head, Udang Assam Goreng, Chap Chye, and Ayam Tempra. The fans of Ayam Buah Keluak will have a version here where the nut is combined with some minced pork. For more savouring recipes, try the Thin rice noodles in spicy sweet & sour light gravy, the Thick rice noodles in thick spicy coconut gravy and the Gula Melaka Sago for a sweet end to your meal.